There are 3 million chicken recipes on the internet. We're here to show you the good ones. Win, win. Today: After our Director of PR and Events brought this chicken to our attention, we had no choice but to try it—and we're so glad we did. Once in a while, a magical night comes around when we find ourselves with extra time on our hands, free to cook and do whatever we please. These are the nights when we either go all-out or grab a sandwich to-go and find other ways to spend the evening—or, we strike a happy medium between the two. This Spiced Roast Chicken with Za'atar Yogurt combines the best of both worlds: It's satisfying without being time-consuming (it takes about 10 minutes of active prep time), so you can spend your evening on important things—like sitting down and having a glass of wine. And if isn't enough to convince you, here's what Haley, our Director of PR and Events, has to say about this chicken (which happens to be her favorite): "My mom introduced me to this recipe and it is magical. I love to roast a chicken on Sunday nights because I'm a big fan off bestovers—chicken salad, chicken on a salad, etc.—and this one packs an awesome punch with the spice rub." Save (and print) the full recipe here. 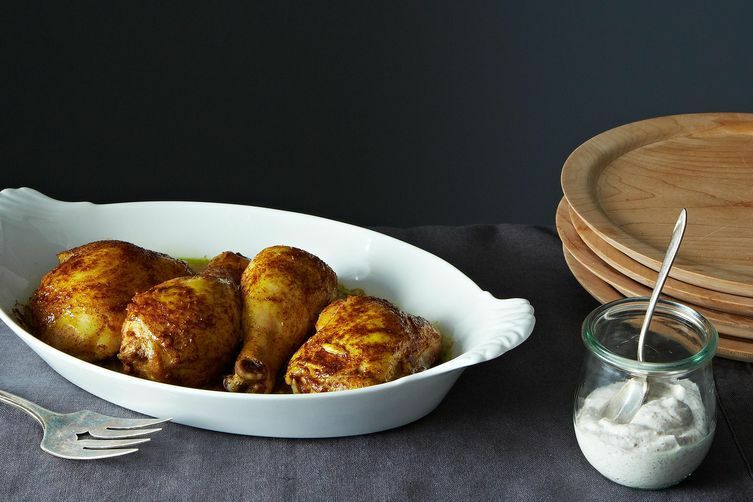 Is there an undiscovered Food52 chicken recipe you love? Send us a paragraph or two at [email protected] about why you love it, and it could be next week's Winner, Winner, Chicken Dinner.